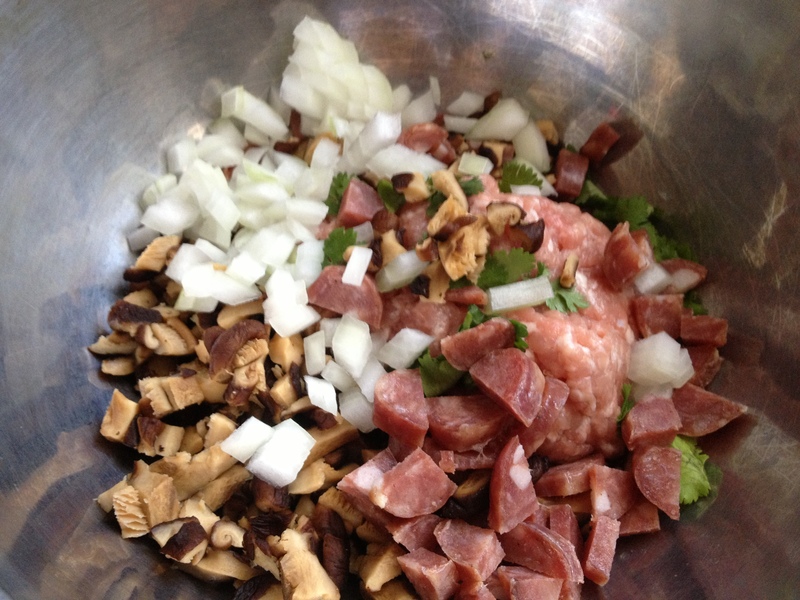 One of my favorite ways to prepare food is steaming. It’s so ridiculously easy and the food comes out so moist and tender. This week, I’m participating in Live Below the Line, a global effort to create awareness about extreme poverty. The challenge is to spend less than $1.50/day on food for 5 days. 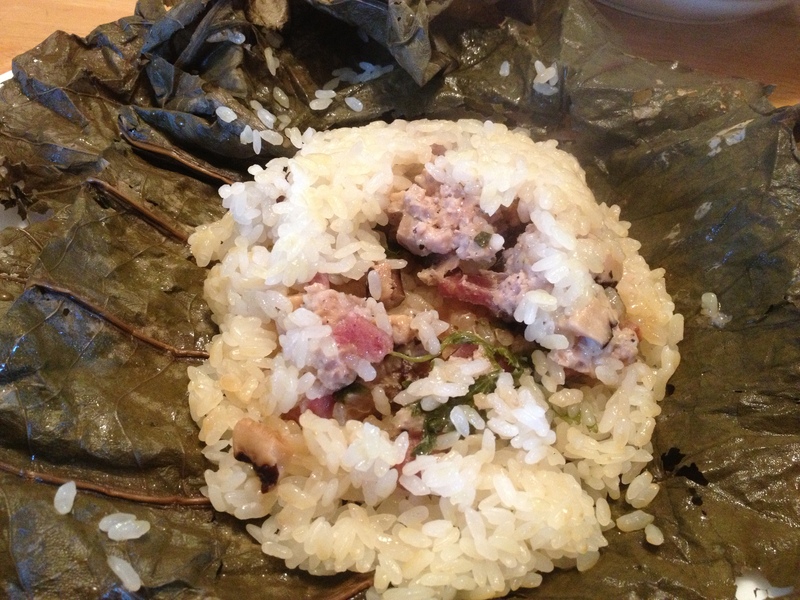 On Sunday night, I was too busy planning and calculating my next 15 meals, so I wanted to make something that was no-fuss and easy for a Sunday dinner….Lotus Leaf Wraps (Lo Mai Gai), or what I call “that sticky rice dim sum dish.” While this isn’t part of my $1.50/day diet, I feel like this meal is relatively cheap and 4 servings probably cost less than $2 total. 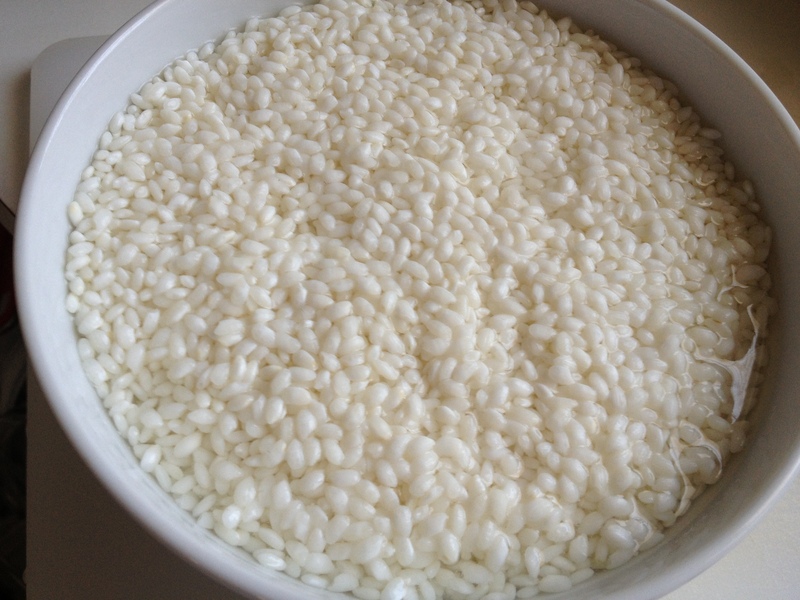 Prep work: Soak the rice in water for at least one hour, the longer the better. Cut the lotus leaves in half and soak completely in warm water for at least an hour. Take a lotus leaf out of the water, squeeze out any excess water (pat dry). Drain the rice in a strainer. 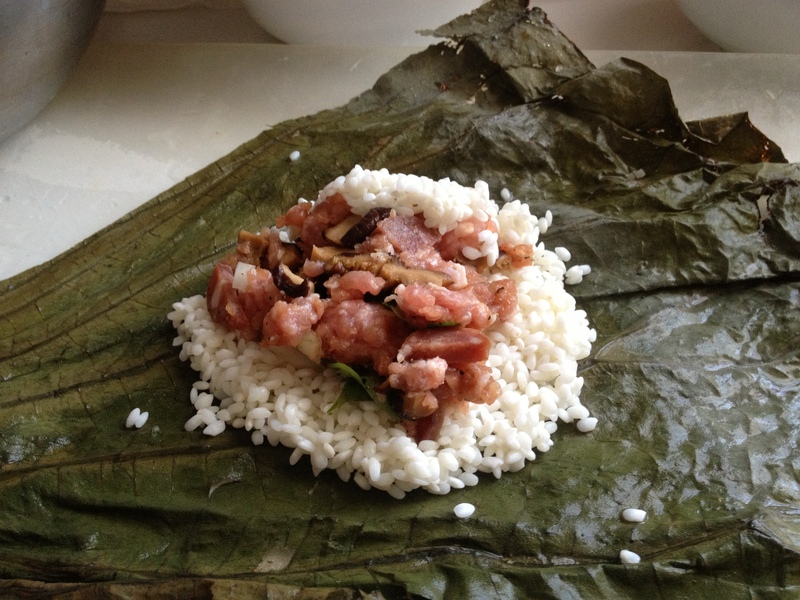 Place the leaf on a flat surface and lay out a spoonful of rice in the middle, add a spoonful of the meat mixture, and then top it off with another spoonful of rice. Fold the bundle as if you were gift wrapping it. Sometimes the leaf might have a few holes in it, so I took another banana leaf and wrapped it in two layers. Fill the bottom of your steamer with a generous amount of water. 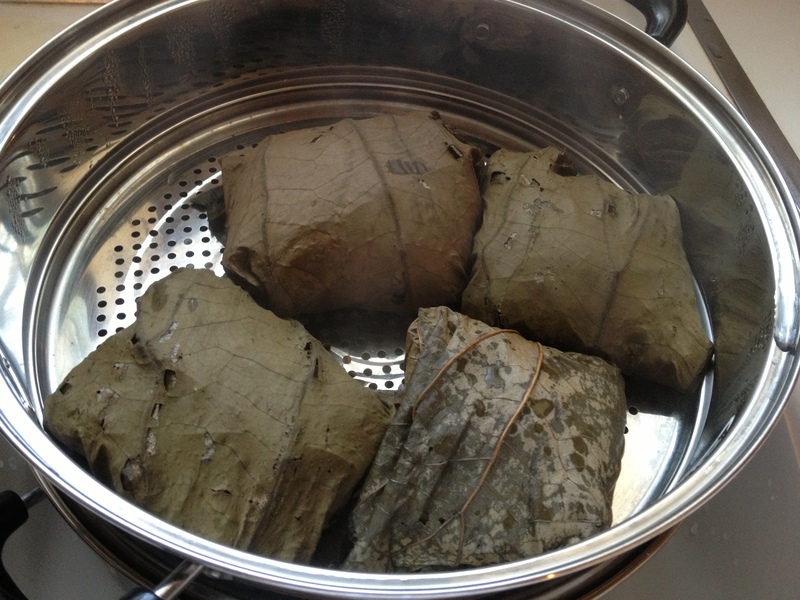 After the water comes to a boil, steam the wraps for 40-45 minutes. Remove from the steamer (careful!) and upwrap. Enjoy!